You can earn 528 Ocelco Cash Reward Points on this product! 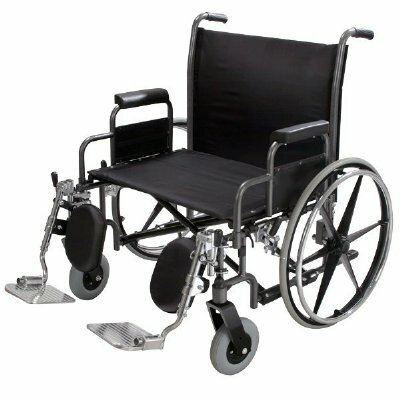 Extra large heavy duty, aluminum tapered footplates provide maximum support, are attractive and crack proof. Overall Length with Frontrigging: 47"
Comes with Swing-away Footrest or Swing-away Elevating Legrest, please choose below.